If your cruise control system cuts off unexpectedly or stays on even when brakes are applied, replace the cruise control brake release switch. 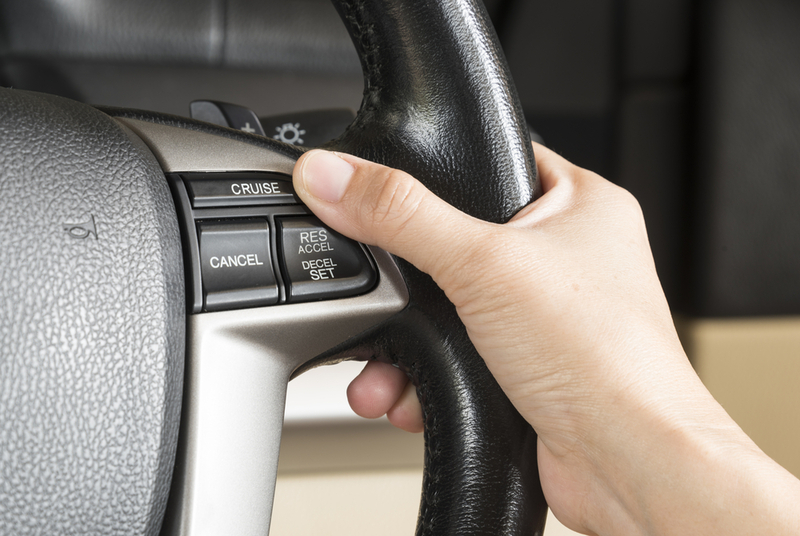 Cruise control is a feature found on virtually all modern vehicles. The cruise control feature works to maintain the vehicle at a constant speed without the need to step on the accelerator pedal. Once activated, the cruise control system will keep the vehicle at a constant speed or rate of acceleration until it is switched off manually or the brake pedal is stepped on. When the brake pedal is stepped on, the cruise control brake release switch is tripped and the cruise control system is then cut off. The switch is designed to disable power to the cruise control system when the brakes are applied to prevent the possibility of attempting to slow the vehicle while the engine is accelerating. When it fails, it can cause issues with deactivating the cruise control system, which in certain scenarios can be a safety concern. Usually a bad or failing cruise control brake release switch will produce a few symptoms that can alert the driver of a potential problem that should be serviced as soon as possible. One of the symptoms commonly associated with a bad cruise control brake release switch is a cruise control system that cuts off unexpectedly. If the switch has any sort of contact or internal issues, it may cause the cruise control system to cut off unexpectedly when activated, even if the pedal is not stepped on. This will be inconvenient in trying to use the cruise control system, as it will constantly need to be reactivated and set every time the power is cut. Another common symptom of a potential problem with the cruise control brake release switch is a cruise control system that stays on even when the brakes are applied. If the cruise control switch fails, it will not be able to deactivate the cruise control system when the brake pedal is depressed. This will cause the vehicle to continue to accelerate as the brakes are being applied, which can cause them to overheat and damage the components. Usually the cruise control will have to be switched off by hand in order to stop the vehicle from continuing to accelerate. The cruise control brake release switch is an important component in maintaining the proper functionality of the cruise control system. Without it, the cruise control system will have to be deactivated manually by hand, as opposed to automatically when the pedal is stepped on. For this reason, if you suspect that your cruise control brake release switch may be having an issue, have the vehicle inspected by a professional technician, such as one from YourMechanic, to determine if your car needs a cruise control brake release switch replacement. Q: Car doors lock but won't unlock with interior button? Q: What is the Cruise Main indicator light on the dash? Q: Air not flowing out of front vents.